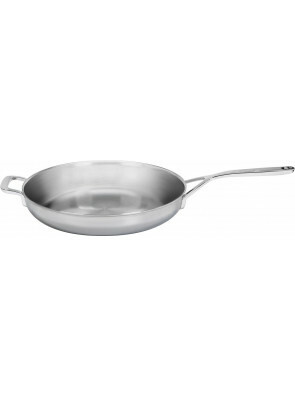 All pans are suitable for induction cooking and distribute the heat very evenly. 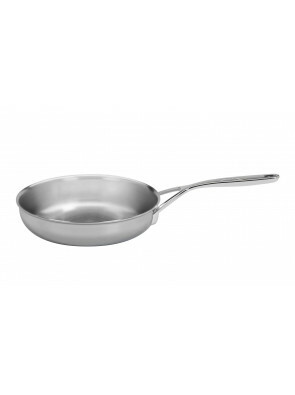 The 3 mm thick 7-layer material (3.3 mm at 32 cm diameter) provides a very good thermal conductivity and allows frying on low heat. 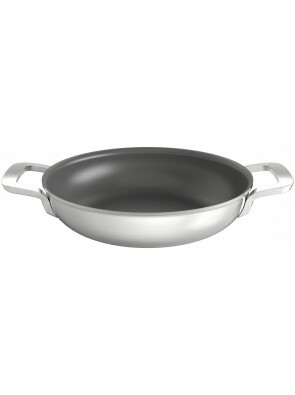 Due to their shape and surface treatment (Silvinox), these pans are very easy to clean. 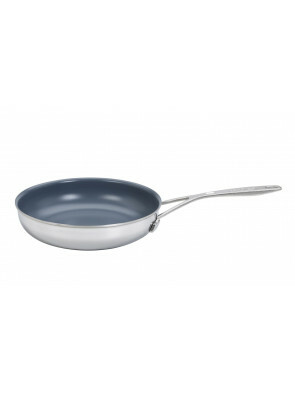 There are 3 general types: with PTFE coating, ceramic coating and uncoated. Which type is the right one for you? >Here in our FAQs< you find the answer. 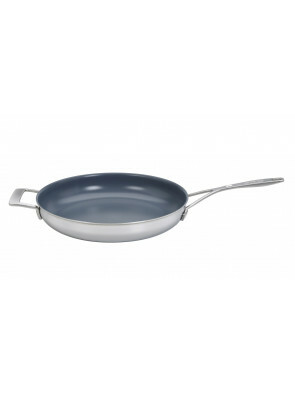 Our tip: Optimal is the combination of an uncoated and a PTFE (black) non-stick pan. If you use induction, we recommend the combination of an uncoated and a controlinduc PTFE pan that cannot overheat on induction.